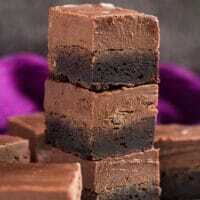 Nutella Fudge Brownies – Deliciously thick and fudgy brownies topped with a creamy Nutella fudge layer. 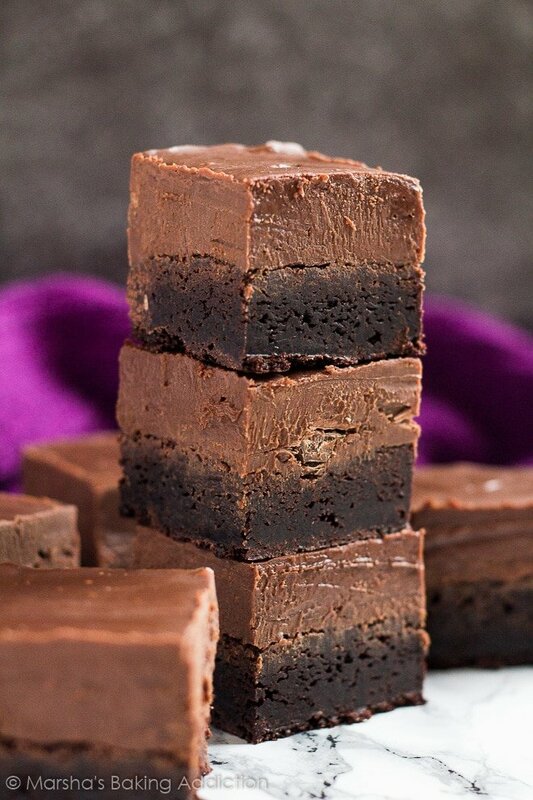 The ultimate brownies! 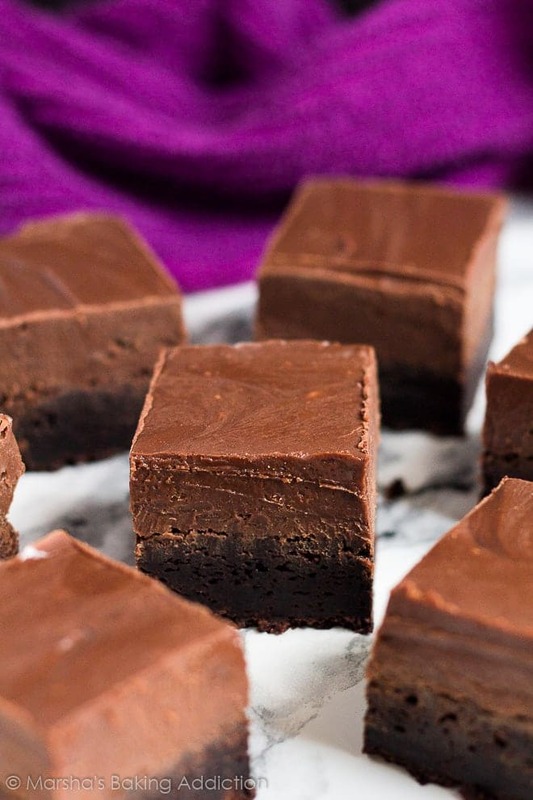 Fans of brownies, fudge, and Nutella – welcome! 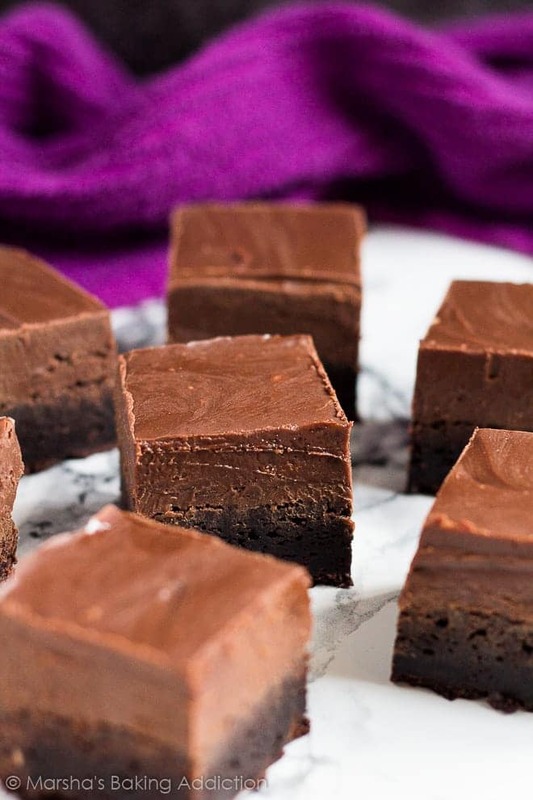 Today, I bring you the ultimate indulgent brownie recipe that you are just going to fall in love with. 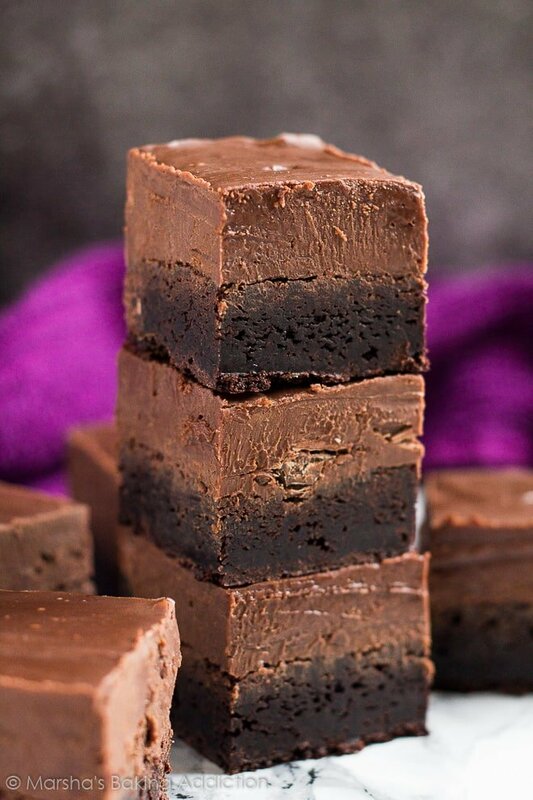 Top these brownies with some creamy Nutella fudge and you have yourself the BEST best brownies. The fudge contains only 3 ingredients (sweetened condensed milk, chocolate chips, and Nutella), and is super easy to make! Simply melt the ingredients together in a bowl over a pan of simmering water, or the microwave, then spread the mixture over the brownies. Chill in the fridge until set, then cut into squares and devour! 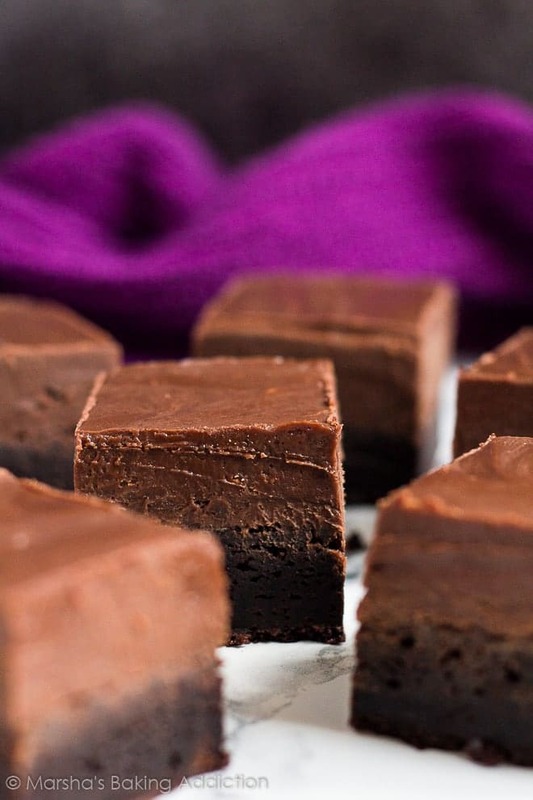 Try these delicious brownies next! 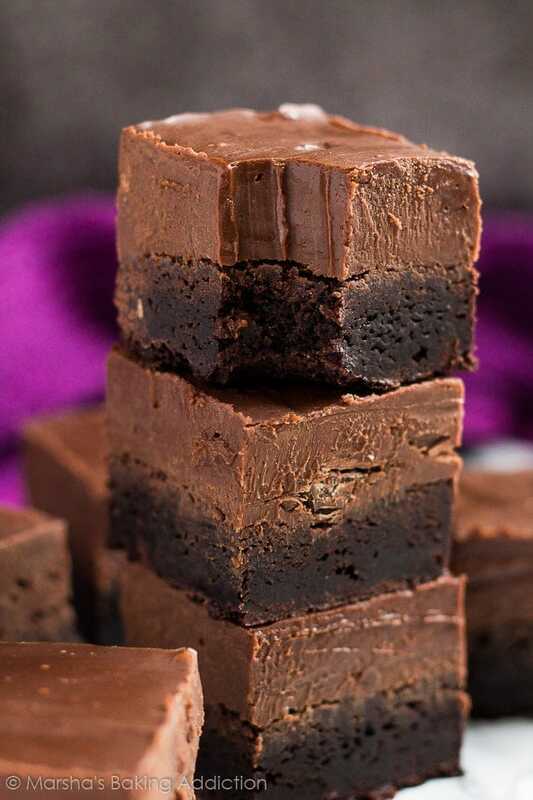 Deliciously thick and fudgy brownies topped with a creamy Nutella fudge layer. 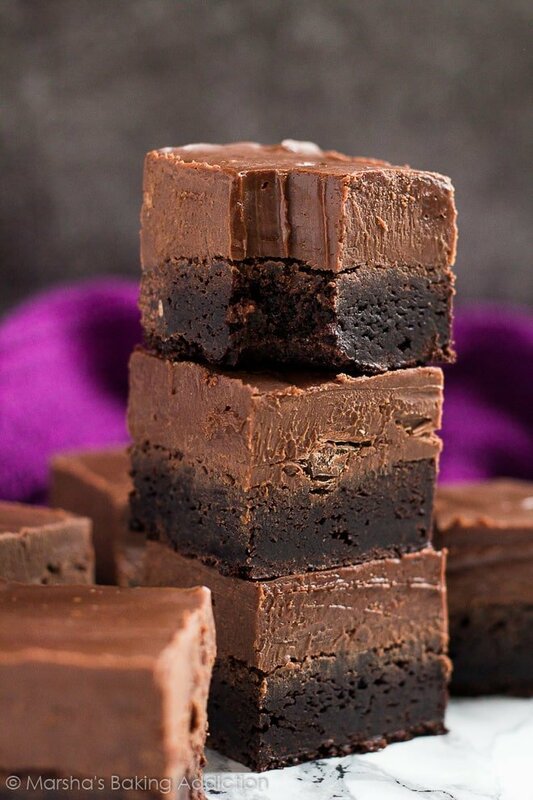 The ultimate brownies! Preheat the oven to 180C/350F/Gas 4. Line an 8x8-inch square baking pan with foil and spray with baking spray. Set aside. Place the butter, sugar, cocoa powder, and salt into a microwave-safe bowl, and microwave in 1 minute intervals, stirring after each one, until the butter is melted and the mixture feels very warm to the touch. Mix in the eggs, one at a time. Fold in the flour until fully combined. Fold in the chocolate chips (they will melt into the batter, but it's fine! It helps produce a shiny top). Stir in the vanilla extract. Pour the batter into the prepared pan, and spread out evenly. Bake for 30 - 35 minutes, or until a toothpick inserted into the centre comes out almost clean with a few moist crumbs. Allow to cool completely in the pan on a wire rack. Place the condensed milk, chocolate chips, and Nutella in a heat-proof bowl over a pan of simmering water. Stir until melted and smooth, then spread evenly over the brownies. Chill in the fridge until set, then cut into squares and enjoy! Thanks, Demeter! 🙂 You, too! Excellent recipe, Marsha, loved it. Second batch will add raisins soaked for a week in rum, to the fudge layer. Hello marsha, can you freeze it with the fudge? There are soooooo many different chocolate chips or there, any particular one?